In order to better understand the impact of climate change in people’s lives, a face-to-face meeting can be extremely helpful. The encounter with young Catharin made me realise that Climate Change has an undeniable human face. A couple of months before the COP21 in Paris last year, I had the opportunity to visit the ACT Alliance regional office in El Salvador and some local communities we work with in the country. El Salvador and its neighbour countries have been strongly impacted by the effects of climate change. Floods, earthquakes, hurricanes and droughts have disrupted the normal production cycles. In 2002, Cara Sucia, on the southern coast of El Salvador, was severely affected by Hurricane Isidore. Approximately 3,000 vulnerable families that depend on agriculture, fishing, arts and crafts, and small businesses were affected. So far in 2016, over 150,000 people have been affected by two consecutive years of drought in El Salvador, according to the Food World Program. During one of my field visits in El Salvador, I met someone that I will never forget. 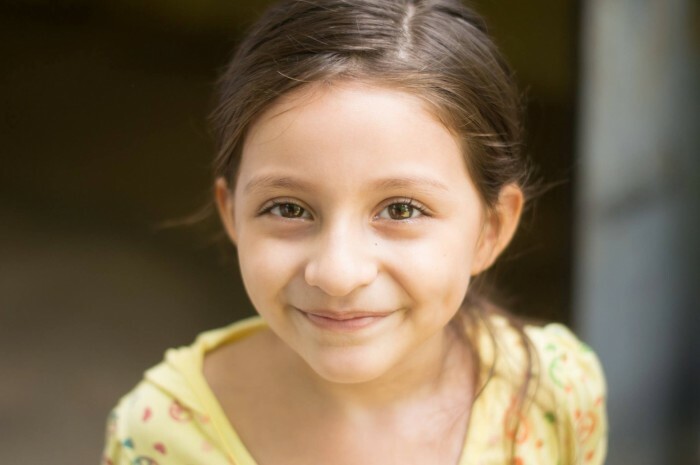 Catharin, eight years old, was the youngest moderator on a community radio in Cara Sucia, at the border to Guatemala. I was impressed by the work of Catharin and those courageous youth, who despite the enormous adversities, have decided to stay in their community. Together, they started to broadcast educational programs to help the local people in their daily challenges. Catharin, for example, is the host of a musical program made for children by a child, which “gives motivation” and “transmits good values” to the children of Cara Sucia. My first conclusion after the experience in Central America was that climate change is not an abstract issue. When we have the opportunity to share the pain and the suffering of people who strive to deal with its challenges, we discover that climate change has a human face that can’t be ignored. Secondly, I was amazed to see the power of communication in supporting communities to deal with climate issues. Through these tools, it is possible to bring people together, make communities stronger and more resilient. As we head towards another Climate Conference, the lack of ambitious action from governments has not made the life of Catharin and the people from Cara Sucia any better. In Central America, but also in many other parts of the world, the right to continue to live in the lands where they belong has been denied to numerous communities. So what can I do? What can I change if I don’t have any decision-making power? The answer I gave to myself was: “You can be like Catharin”. Through communication, special social media channels, I can contribute my “small, but relevant” part and speak out for the people who have been affected by climate change. The international community has taken major steps towards climate justice. Paris was the first victory, but there is still a long way to go. If you want to participate in this historical moment, I invite you to join our Act Now for climate justice social media campaign, which aims to demand that world leaders are ambitious in their commitments concerning climate change. Go to our Facebook or Twitter official account (@actclimate) and share the message. More instructions HERE. 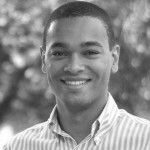 Valter Hugo Muniz, Online Editor of ACT Alliance. Brazilian journalist, videographer, online content manager and strategist who has worked in the private sector, television, publishing houses and NGOs. With humanitarian experience in Indonesia (Tsunami, 2004) and Ivory Coast (Man, 2012) he strongly believes in communication as a platform designed to bring people together and to support vulnerable communities. Photojournalism, books, football and people are his passions.